The news cycle may be dominated to an absurd degree by the Russia probe, but never forget that new terrors are insinuating themselves into life every day. On Friday, a WNYC reporter witnessed federal immigration agents in a Queens human trafficking courtroom, searching for a woman they sought to arrest. The lawyers said they learned from the judge that ICE wanted a young Chinese woman in the Human Trafficking Intervention Courtroom. They said she’d been charged with working illegally as a masseuse, and was about to receive an adjournment in contemplation of dismissal after completing a program with a community group — a goal of human trafficking court. The attorneys got their client out by asking the judge to grant bail, and hustled her from the building before she could be detained. Others weren’t so lucky: An ICE spokesperson confirmed that officers arrested three people outside the courthouse, though no one inside. ICE’s website lays out that arrests are not typically made (though there are exceptions) in certain sensitive locations, like schools, healthcare facilities, places of worship, religious ceremonies or during public demonstrations, like rallies or parades. However, it stipulates the courthouses do not qualify as “sensitive,” meaning arrests may indeed be made there. ICE’s FAQ also testily answers the question of why it seems as though courthouse arrests are becoming more and more frequent. 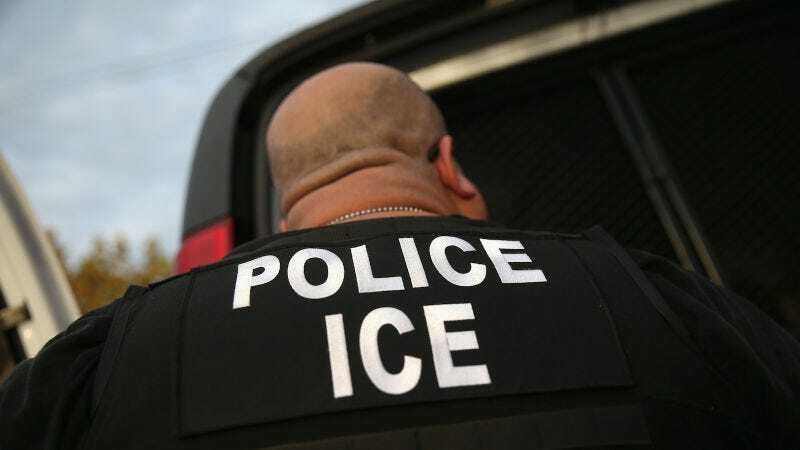 Now that some law enforcement agencies no longer honor ICE detainers, these individuals, who often have criminal histories, are released onto the street, presenting a potential public safety threat. Because courthouse visitors are typically screened upon entry to search for weapons and other contraband, the safety risks for the arresting officers, the arrestee, and members of the community are substantially diminished. In such instances where ICE officers and agents seek to conduct an arrest at a courthouse, every effort is made to take the person into custody in a secure area, out of public view, but this is not always possible. Tell me, which strikes you as a greater threat to public safety? A young woman potentially working as a masseuse, or ICE agents so drunk on power they arrested a 19-year-old on the day of his high school prom?